A lot of people swear by Argentina. They love the tango, the great steaks, the people, and the overall vibe. 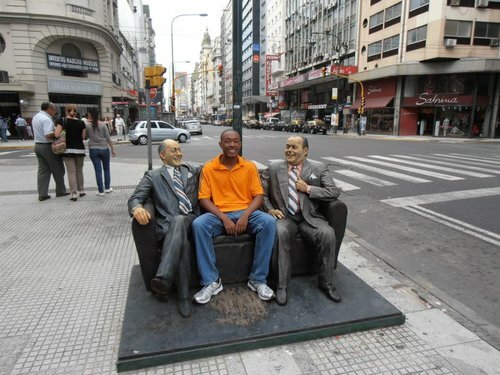 Despite my giant smile in the picture above (taken in downtown Buenos Aires), I am not one of them. In fact, I was so bored and unimpressed with Argentina during my stay, that I was chomping at the bit to return to Brazil at the first opportunity. I stayed in Buenos Aires and was bored out of my skull. I honestly don’t see what the big deal is about this country. The people weren’t all that beautiful, and they eat too late. With that said, if you are an Argentine aficionado (unlike yours truly) and have a desire to live and work in this country, it is possible. Like most non English-speaking countries, your best bet for employment will be teaching English. It is also a good strategy to try to network with an employer based in your home country that has operations in Argentina. Below is a selection of resources (based on word of mouth and personal research) for searching for employment opportunities as a foreigner in Argentina. Jobs in Buenos Aires: A decent site with jobs for English-speaking professionals in the capital city. Bumeran: Bumeran is a big bad job search site with lots of opportunities in Argentina. Indeed: The Argentina version of the big U.S. job search site Indeed.com. ZonaJobs: This site has a pretty interface with lots of middle to upper tier jobs. Craigslist: Unless you have lived under a rock, I’m sure you’ve heard of Craigslist. They’ve got stuff for Argentina too. Olx: Olx is also a giant classifieds site. It has job opportunities, but not all of them look legit. Be advised. Buenos Aires Herald: Good English newspaper with a classifieds section. La Nación: I’m not all that impressed with the selection here, but I like to leave no stone unturned. El Clarín: Another news site with classifieds that contain job postings. Teaching English will be your easiest option (if you are a native English speaker that is). All of the sites below are pretty similar and have a massive amount of teaching English job options. Browse through each of the sites for any Argentina job opportunities. Also, be sure to check out this cool table from the International TEFL academy that shows how much money teachers can expect to make in various countries around the world. Take a look at these two informative posts at Wander Argentina: Teaching in Argentina: 5 Things to Consider Before Taking a Job and FAQ: Teaching English in Argentina. Transitions Abroad has a thorough post with useful links for living abroad in Argentina. Tracy Thomas presents a nice article about what you should expect while teaching English in Argentina. eFinancialCareers: My favorite search engine for finance jobs on the web. I used them during my Wall Street days. They are limited for Argentina though. Career Builder: These guys have been around a long time. A pretty good site to check out but not the best of the bunch. There you have it. The best places to find jobs in Argentina as a foreigner. 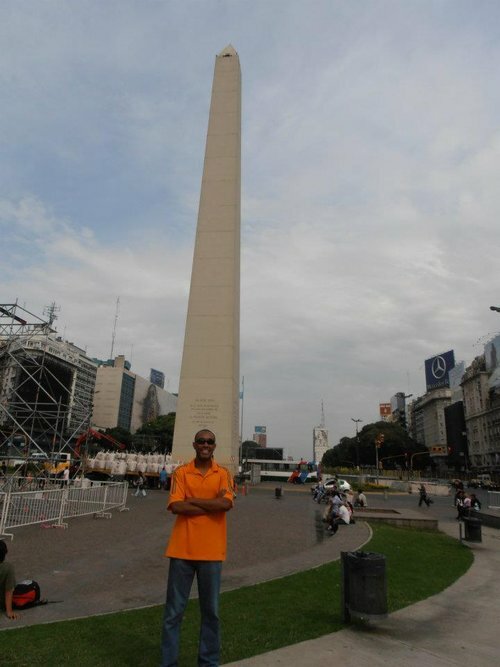 For information on visas for Argentina, be sure to check out my Argentina visa page. If you are single and are looking to spice up your dating life, check out my reviews of the best dating sites in Argentina.